Richard Brautigan achieved rock star status before his banishment to the literary wilderness led him to shoot himself in the head. Jarvis Cocker explains his infatuation. When Jarvis Cocker selected 'Sombrero Fallout' as his Desert Island novel, it's no surprise many people were left scratching their head, as the novel's author Richard Brautigan had fallen so dramatically out of public and critical favour in the years since his huge success and eventual suicide. Brautigan was a child of the Depression who grew up in such dire poverty he ended up throwing a rock through the window of a police station in order to be arrested so he could eat. The judge however sent him to an asylum where he underwent electro-shock therapy before getting out and heading straight to San Francisco, just as the counter-culture was making its home there. Eventually his sometimes whimsical, often beautiful and always uniquely singular style saw him build up a massive following, with sell-out concerts packed with acolytes who saw him not so much as a poet but as a literary guru. Brautigan himself always considered himself a writer not a hippy, and so the decline in interest that the end of flower power brought with it hurt deeply. Alcoholism and depression led to gory suicide - he deliberately set it up so that people wouldn't discover his body for days and possibly weeks after he shot himself in the head with a 44 magnum. Jarvis Cocker sets out to show that the irony of this most grisly end is that it came via the same hand that had penned some of the gentlest and most sublime lines in post war literature. Cocker meets fellow enthusiasts and musicians 'The Lovely Eggs', as well as speaking with Brautigan's own daughter Ianthe. The programme is also furnished with some of the recordings that Richard Brautigan himself made for his album 'Here Are The Sounds of My Life in San Francisco'. 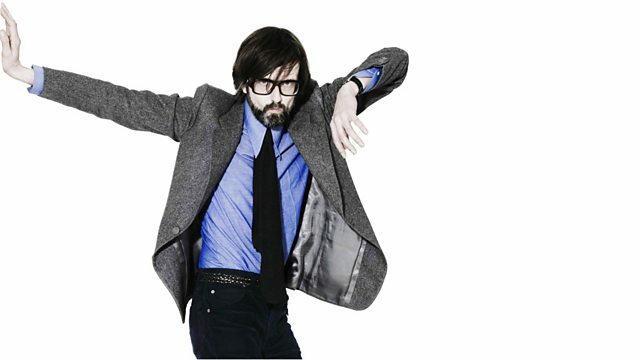 Jarvis Cocker takes listeners on a nocturnal journey around stories of night people.